I decided to do a quick post as I was inspired by a blog entry over at PlayingWithThoughts. In said entry, Dylan describes his plans for the upcoming month, putting gaming on hold, in favor of other scholarly pursuits. In particular, exercise, reading, and writing. I think this is absolutely terrific and something that a lot of gamers need to do. Of course, this post isn’t directed towards everyone. Most of this audience is old enough to have a million responsibilities, and so gaming time is already a luxury. It’s hard to get burned out of something if you struggle to find time to do it! But this is for those younger folks with all the time in the world who burn themselves out, and it applies not just to gaming, but any other hobby that they allow to mutate into a lifestyle. I actually had a post planned several months ago that I messed around with now and again, but I never actually found a real point to it. I ended up trashing it, and yet today the topic has been hand delivered to my WordPress feed, so I felt like it was time to rehash it! Taking a break from gaming is what I think every gamer needs to do at some point. I see it all the time. Posts on NeoGAF and Reddit mostly, from desperate sounding gamers explaining their plight that they can’t find a game that interests them anymore. Oh, the horror! Those folks are who I’m directing this post towards. They’re “growing out” of gaming, they claim. They sound like a drug addict complaining that the dope isn’t making them feel anything anymore, and they need something stronger, better, harder-hitting. The replies to the posts are generally in one of two camps: “try this game,” or the often ignored “take a break from gaming.” I say “often ignored” because this is solid advice yet I feel like no one ever takes it or even acknowledges it as a possible solution. They want a quick fix to feel that amazing feeling of falling in love with a game again. Does this describe you at all? Then let me ask you – when is the last time forcing yourself to like something worked out? Pro tip from someone who’s tried: it doesn’t work that way. Like a rebound you meet mere hours into university after ending a relationship that began in the tail-end of high school. It ain’t gonna last. Keep in mind that I know this won’t describe everyone. From what I can surmise, this issue happens most commonly as people graduate college – not so much from 25-35, but from the 18-25 crowd who are just discovering themselves without the responsibility of school. You graduate college, you get a job (hopefully), and you don’t know what to do with time outside work. Without the buffer of a constant social life that college affords, and schoolwork to worry about, you have dangerous amounts of free time. Let me tell you a little story about me. A few years ago, when I was about a year out of college and working my first fancy big-city job, I decided that I was a wimp and needed some scars. I didn’t do a whole lot aside from gaming and watching movies, and one day it just hit me. For some reason I got the idea in my head that I needed to buy a dirt bike, since I had loved the sport since I was a kid and had money from said job. I figured it was the most dangerous thing I could get into (I was pretty dead-on, actually), so I called up a buddy of a buddy who rode dirt bikes. I ended up buying his old bike, and I got big into riding, eventually that led to racing harescrambles – I’d created a new hobby off a whim, and it became a passion. I ended up buying a new dirt bike a few years later, and regular street motorcycle on top of that. Learned how to work on engines, and now I can do basic engine maintenance on my lawn equipment and all of that. All on a whim. 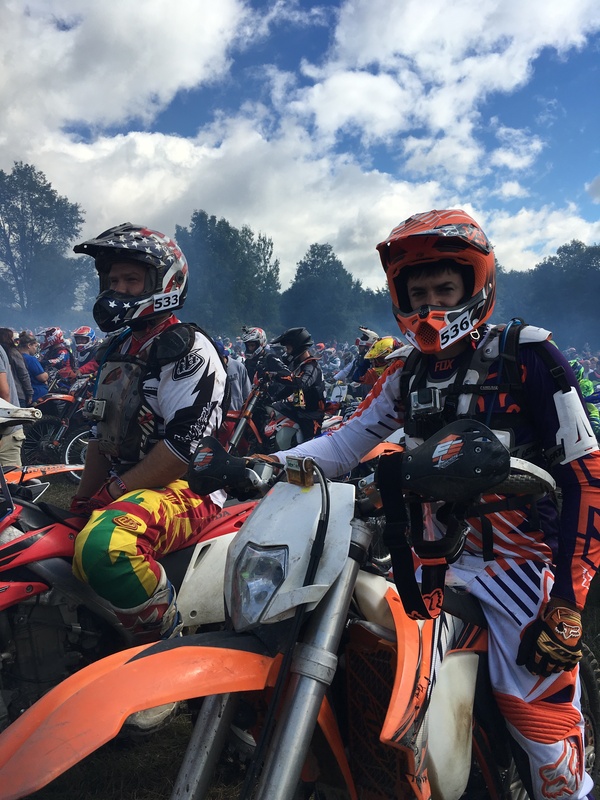 Racing at Unadilla GNCC 2017 with my buddy Tim. Made a friend for a lifetime and a hobby for a lifetime! 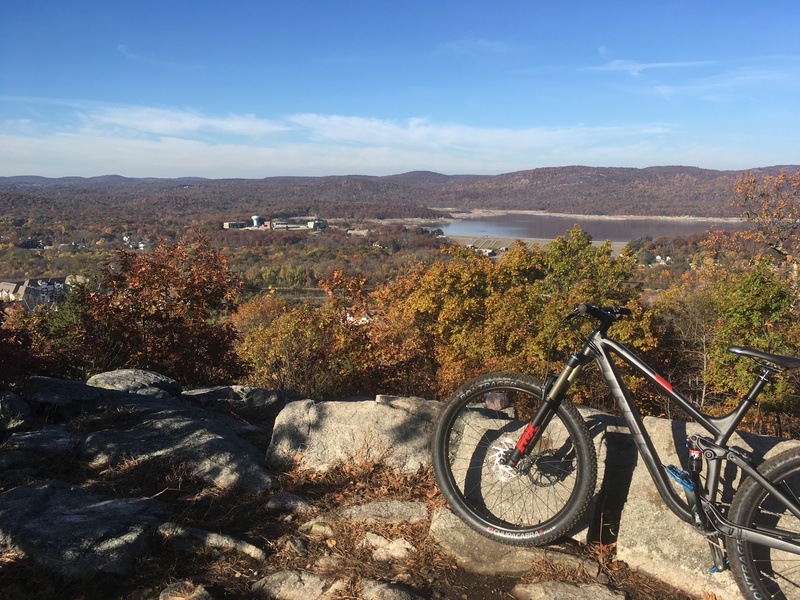 Eventually, on another whim, my girlfriend (who is now my fiancée) and I went mountain biking, and loved it so much we bought bikes, which exploded into another passion. Now I ride road, trails, and downhill. My garage is filled with toys. I also got super into lifting weights and exercise, which keeps me feeling young, healthy, and allows me to do all the aforementioned hobbies I love, crash motorcycles and bikes into trees, and still get up the next day and go to work. Ok, occasionally I’ll break my hand. Recently I bought a house and I’m getting into power tools and some minor woodworking, if I can ever find the time on top of all the other stuff I just listed. So what’s the point of all of this? It’s that having all your eggs in one basket is a bad idea. I’m not telling you to go get into my hobbies – they’re my hobbies. The point is the world has way too much to offer to pigeonhole yourself so that you get bored with gaming when you’re 25, and write them off as “I got bored of them.” I saw myself getting bored and in a single year came out with like 9 new hobbies. If I can do it, you can do it. You should never be bored of anything. Boring people get bored. If you are bored of a hobby, stop doing it and find something else. It’s 2017 and there are a million options for entertainment. You guys know me as Geddy from Nostalgia Trigger, the blog that talks about gaming stuff. But there’s a lot of things that happen before I play games or write about them. And almost none of those things are gaming related – but the long absence from them makes me want to play them more. I stayed up late to work on my second review for The Well-Red Mage, because I was busy putting new pins in my mountain bike pedals for this weekend. When I get cleared to lift weights again after my hand surgery, I’ll be back to having less time to blog. That’s how it goes – and it keeps me wanting to enjoy my hobbies, and not just going through the motions. On that note, hobbies and tastes change. I love gaming and collecting, but I know I won’t still be visiting Goodwills looking for boxed copies of old Blizzard games even by next year. The overlying issue I see a lot of the time is that gamers tend to have an “all or nothing” mentality. “I can’t stop playing games, because then what would I do?” You need to get more hobbies! Stop treating gaming like it’s a lifestyle, and you won’t get sick of it. Start hitting the gym. Go hiking. Meet friends and play some basketball. Join a local baseball team. Get into robotics. Put together a model plane. Buy a damn gun and go to a range and shoot some things. If gun ownership isn’t legal by you, rent one from the range and blow some stuff apart! It’s REALLY FUN. It’s 2017 and within thirty seconds from almost any location in the world you can open your fancy phone that everyone has, and find people to meet, or if you’re the introverted type like myself, find plenty of good stuff to do solo. A hobby is supposed to be supplementary to your life and improve it, not be a single focal point that eventually burns you out. Have 5 hours free? Great! Spend an hour gaming and do something else for the rest of it. Make yourself want to play games, don’t just default to playing them because that’s all you know. We’ve all got a friend who insists on drinking Miller Lite. All these incredible beers in the world, and this guy just wants his boring Miller Lite. It’s OK to like Miller Lite, but step out of your comfort zone sometimes and you might learn a thing or two about yourself. In my case, I learned I have a hankering for adrenaline and I’m really good at injuring myself. One more thing – if you explain “I grew out of gaming” to a group of gamers, you didn’t grow out of it. Growing out of something happens naturally. In other words, you don’t “feel bad” about growing out of something. You didn’t wake up one day and decide not to use diapers. You grew up. That happened without intervention. You didn’t go on forums where grown adults wear diapers and try to explain that you “grew out” of them, because if you really grew out of it, you wouldn’t be on the forum explaining to a group of adults you know anonymously that you don’t wear diapers anymore. The very fact that you’re still hanging out on gaming sites explaining that you’ve grown out of video games says to me that you still want to like video games, you’re just burned out and want validation that it’s the hobbies’ fault, and not your own. Just take a break, chief! They’ll be there waiting for you when you miss them enough. It’s not your lifestyle, it’s your hobby. Take a break from it and branch out. Your sanity will thank you for it! 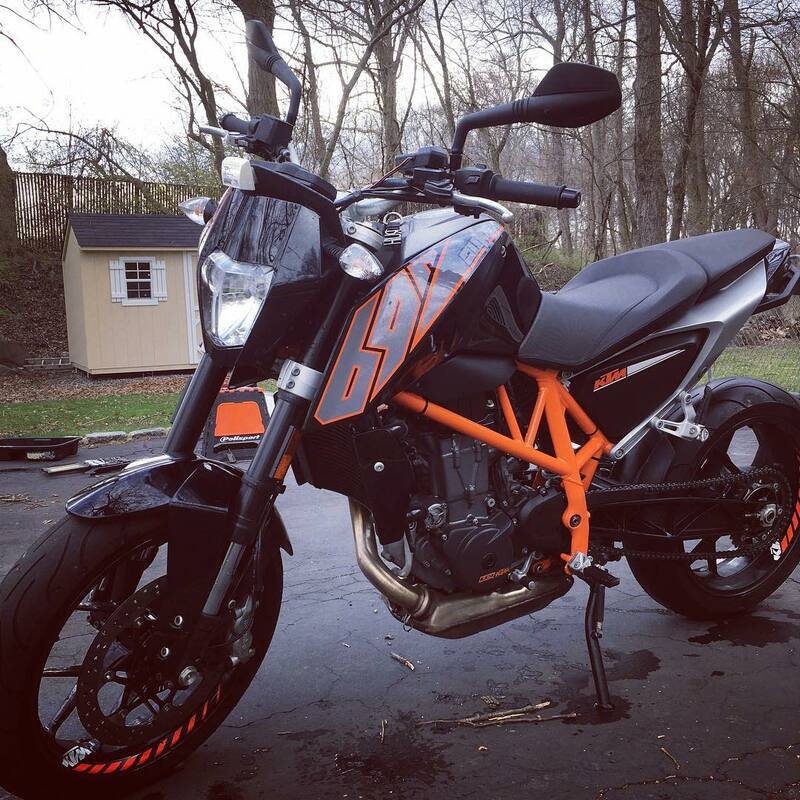 KTM Duke 690, I love this hooligan machine. Mountain biking past the same place I proposed to my girl, one year after the fact. Next Post Will 2017 be the Strongest Year for the 3DS? I just recently went back to martial arts after 17 years and I haven’t felt so good about things. Starting this and writing have reinvigorated me in a way I haven’t expected. Wholeheartedly agree! Gaming is a HUGE part of my life, but it couldn’t possibly be the only thing. Life is about that balance, and I’ve found everything (including games) to be richer when I engage in different things. Boy oh boy, if I ever didn’t have games to play, games better have ceased production by that point, because I have TOO MUCH to play, haha! I’ve experienced this burn out myself. Thought i was growing out of video games, but simply needed to completely step back and stop trying to force myself to enjoy something was i feeling numbed to. Still need to take that break honestly lol. See that? Works for everyone! 🙂 It’s totally normal to lose interest in hobbies, but with all the negativity I see regarding backlogs and all of that, I feel like there’s a dark cloud (named Steam) over the gaming industry that has turned fun gaming into a second job. This is the best line for me. It’s a good feeling when you match what you are interested and passionate for at that moment with what your doing, instead of just forcing it because you are “suppose” to like it. Thank you! I’m glad to hear it resonated with you 🙂 there are times when I know that I’ll have random spurts of free time, and while I almost always try to fit something entertaining into those times, it’s not always what I feel like doing. In other words, I try to avoid planning and just do what I feel like doing, particularly when juggling which “thing” to do, and in gaming especially, which game to play. Completely removed the element of stress for me after I stopped doing the “but I need to first finish this game” and just played what I felt like. I think this whole phenomena could use a formal academic study. I see similar threads on Reddit often about trying to pick “the perfect game” or stress over large backlogs. It’s actually very fascinating! I wholeheartedly agree with this. A hobby is supposed to be fun and, you know, the enjoyable (or one of the enjoyable) part of your life. If it’s not fun anymore, it means you need to take a little break and do something else. I go out sailing, and I’m out almost every weekend between April and October, and by the time we put the boats away for the winter… I’m ready for something else to take up that time. But I’m excited when April rolls around again! I sometimes think that there is a certain “feeling” around gaming that no one talks about, no one knows where it came from, but exists nonetheless: if you don’t game all the time, you’re not “really” a gamer, or you’re a “filthy casual,” or some other nonsense. So then people feel pressured to have their hobby consume their life in order to “fit in.” I think that’s more with the younger demographic you mentioned, which might help explain why they’re experiencing burnout. But I might be way off base. That schedule of going out every weekend when the weather’s nice describes me exactly! I hardly ever touch a game from Friday to Saturday. Sunday night to Thursday night is usually my jam! Just too nice to miss out on good weather to sit inside. Or hell, I’ll ride my motorcycle somewhere and chill on a park bench in the middle of nowhere and play some Switch. The younger demo seems to have perpetuated an “all or nothing” mentality, first in jest, and then it somehow became how a subset really feels about it. It’s bizarre! Very interesting. I will add this to my “to read” list 🙂 thanks for sharing! Steam in particular I blame for the broken mentality that games aren’t for having fun, they’re for putting notches into a belt. With sales that are “too good” to pass up, its cheapened these games to the point where they’re, as you put it well, “serial consumed”. Looking forward to reading more. Yeah, he’s definitely got a ton of gold in his blog, if you’re interested. I think I binge read it in two days. The ‘serial consumption’ was his too, actually. haha. Oh and on your theory of steam devaluing games because they can undercut prices to the point that you can’t help but buy them is actually pretty interesting. When I was younger I was much more monogamous to my games and really got all the marrow out of each of them. Now I do have a library of games that… I haven’t played. It would seem that both the distribution and creation of serial consumption games are big factors in the issue. I will say though, that I play Tekken and it is definitely an “evergreen” game, as Cook calls it. Or its nearer to that side of the spectrum. Its more of a gamey game, as opposed to a storyish game. You play and fight, over and over, slowly getting better, if you are paying attention and have a growth mindset… its like boxing and much less like Telltale’s The Walking Dead. Hmmm definitely some food for thought! I’ve had this happen a lot with another hobby of mine – reading. It comes in spurts. One month I’ll sit down and do nothing but read, blowing through multiple novels, and then the next I don’t touch a book. I still like reading – I just want to do other stuff for awhile. The cool thing about hobbies is that you can have more than one! I feel the same way! I tend to do things in spurts and then take a break. Right now, I game pretty much all the time. Two months ago I was blowing through 8 books in one month. 6 months ago I made bread every single day. I’m so glad you bring this up, Geddy, because it’s important that people learn when to step away and take a break! Fantastically written. Thanks for the comment! I have what I call an addicts personality because when I like something, I want to do it 500 MORE TIMES. I find a new song, I listen to it on repeat until I can’t stand it. Better to actually enjoy things! Well this is the greatest blog I’ve read today. Love the Miller Lite comparison. There is so much out there to discover and do. Gaming is fun and all but so isn’t everything else. And all the other cool and fun activities and hobbies can be done with other people who may not be particularly fond of gaming. I think off the top of my head I have maybe 2 friends who game. Everyone else is from hobbies. I’m actually starting a SCUBA course next week, gonna be pretty sick and I know things will come from it. Who knows maybe it will develop into a passion. Thanks for that compliment! 🙂 much appreciated. True – I also have few friends who game, and to be honest every time the topic comes up that I run a gaming blog, people just assume that’s all I do. Like.. no, I do tons of other stuff, just no one seems to look past the video games. It’s weird. No one ever asks past it. It’s why I don’t tell anybody about it, honestly. Telling someone I ride dirt bikes is a wildcard: most people where I live don’t even know that’s a sport. Video games though? Yeah just go ahead and draw conclusions! I tried SCUBA and it wasn’t for me – kept getting nervous and panic breathing! Good luck with it though, it seems like so much fun once you get it! I can definitely agree with people not understanding video games. It’s almost like people are black and white about it. “Oh you play video games, why don’t you go outside?” As they sit inside and watch Netflix for the next 3 hours. Dirt Bikes are super cool dude. I think people are ignorant about things because they just don’t know. Most people don’t look at the inner workings of activities, sports, or anything outside their norm for that matter. It’d be like a car driving by on the road and they see just see a car. While in this example we would see all the work it took to make the car, the intangibles about what makes the car great, and the value we have towards it.